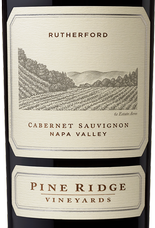 Since the 1930s, the Rutherford region has been recognized as a source of superlative Cabernet Sauvignon in Napa Valley. With estate vineyards totaling 54 acres within this single appellation, we make the most of the area’s well-drained gravel and loam soils, producing wines of outstanding balance and elegance. 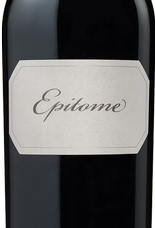 Epitome, crafted from our home estate vineyard in Stags Leap District, is a classic Cabernet Sauvignon made in exceptionally limited quantities from only the most remarkable vintages. The wine opens with intense aromas of blackberry, strawberry, and black currant, which mingle with elegant hints of cinnamon spice and cigar box. On the palate, flavors of deep black raspberry and cherry pie are accented by allspice and nutmeg and balanced by round tannins. Enjoy with osso buco or duck confit.